Rosehip oil is extracted from the hips of a rose bush which grows wild in the Southern Andes of South America. It is high in EFA’s . It is emollient and readily absorbed into the skin and is particularly useful for mature and dry skin. Cold Pressed Rosehip Oil (Rosa eglanteria) high in EFA’s. Rosehip oil is extracted from the hips of a rose bush which grows wild in the Southern Andes of South America. It is high in EFA’s . It is emollient and readily absorbed into the skin and is particularly useful for mature and dry skin. It has also become popular recently due to its reputation for helping to minimise the appearance of wrinkles and other signs of ageing and of scars. It is useful as a stand alone facial treatment or moisturiser, although should be used sparingly. It can also be added to massage blends and skin care preparations especially those for damaged skin. Characteristics Rosehip oil is extracted from the hips of a rose bush which grows wild in the Southern Andes of South America. It is high in EFA’s. It is emollient and readily absorbed into the skin and is particularly useful for mature and dry skin. It has also become popular recently due to its reputation for helping to minimise the appearance of wrinkles and other signs of ageing and of scars. It is useful as a stand alone facial treatment or moisturiser, although should be used sparingly. 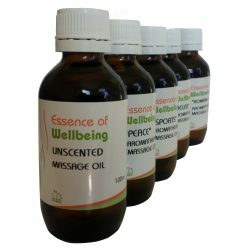 It can also be added to massage blends and skin care preparations especially those for damaged skin.